These white cedar log nightstands and end tables are made from northern white cedar and finished with a clear lacquer which protects and brings out the natural color and grain of the wood. Optional drawers are made using high quality metal drawer slides. 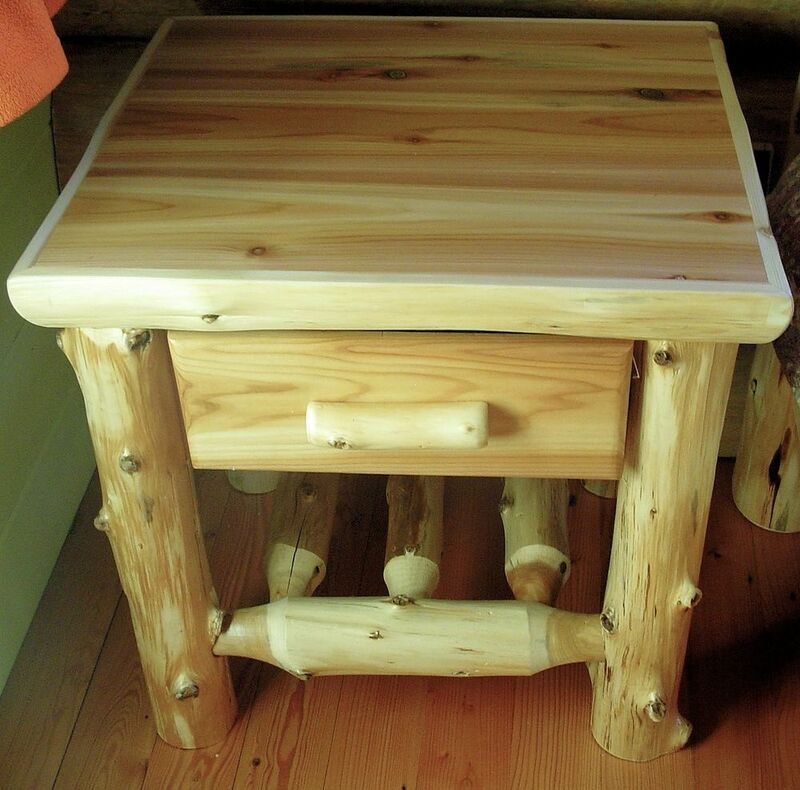 As you can see from the above photos, we have several varieties of log nightstands which include different styles of shelves and tops as well as the option to have a drawer included. 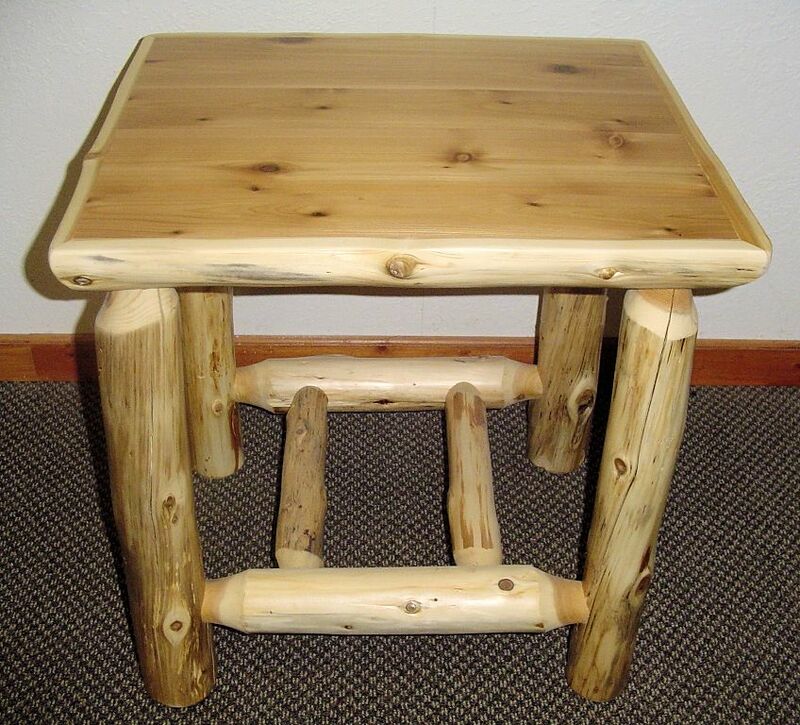 If you are interested in purchasing a log night stand, you can visit the shop section of our website by clicking the button below. The above nightstands are individually priced in this area of our site.